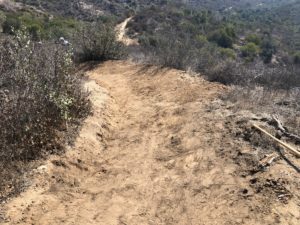 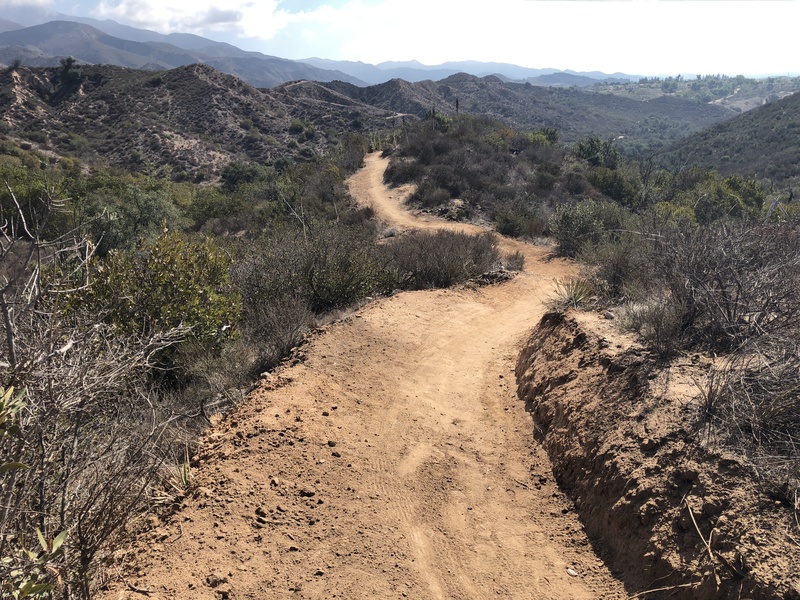 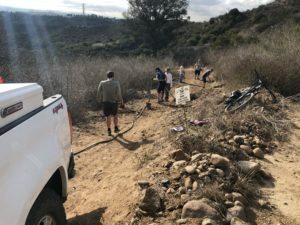 The SHARE Mountain Bike Club worked with volunteers to assist the OC Parks with trail maintenance in Whiting Ranch Wilderness Park on October 5th. 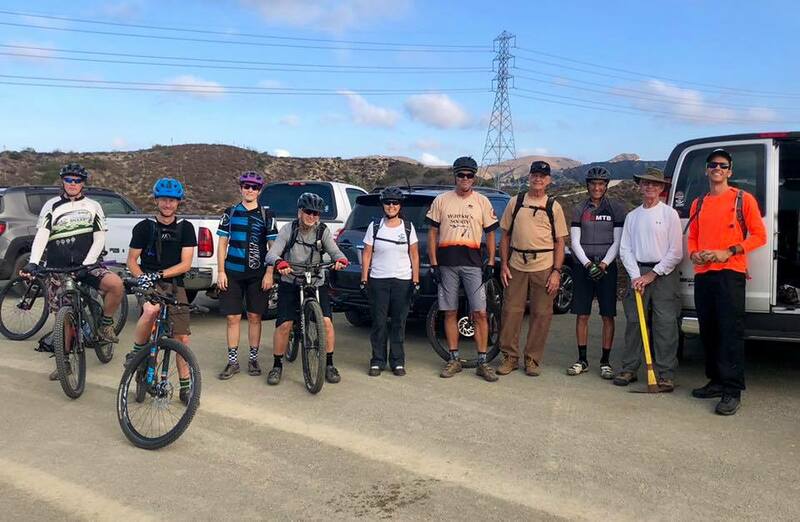 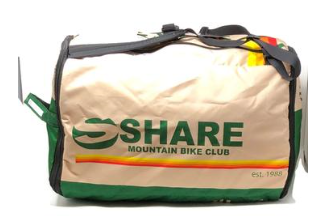 The volunteers were individuals that all enjoy mountain biking in Whiting Ranch and other OC Parks in the area and wanted to give back to the parks for the time they spend riding on the trails. The volunteers helped the Whiting Ranch Park Ranger and maintenance staff work on the Cactus Trail to address some areas that had sand and loose soil. 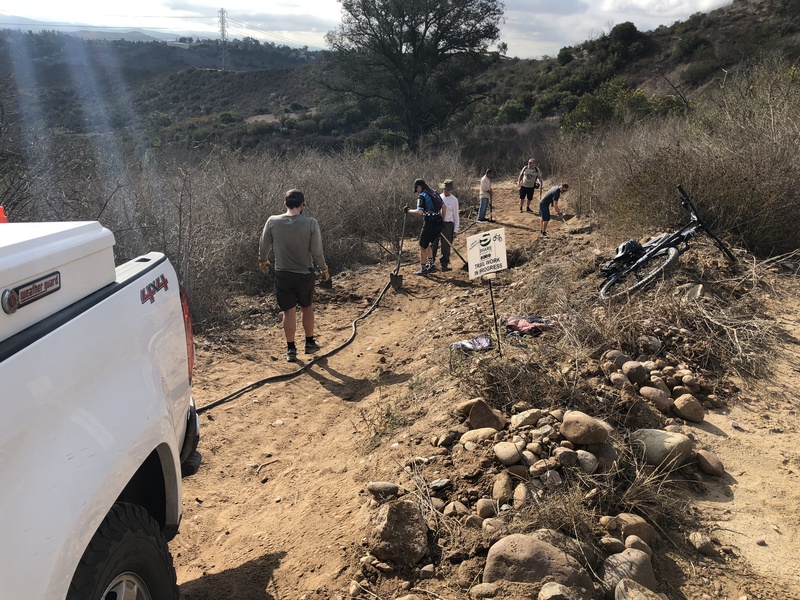 The OC Parks staff brought water via a tank in the back of the truck so that this could be added to the soil in order to create a more firm and sustainable trail surface. In addition to the trail repairs, water drains were created in strategic places in order to get the water off the trail early so it does not run down the trail and cause damage. 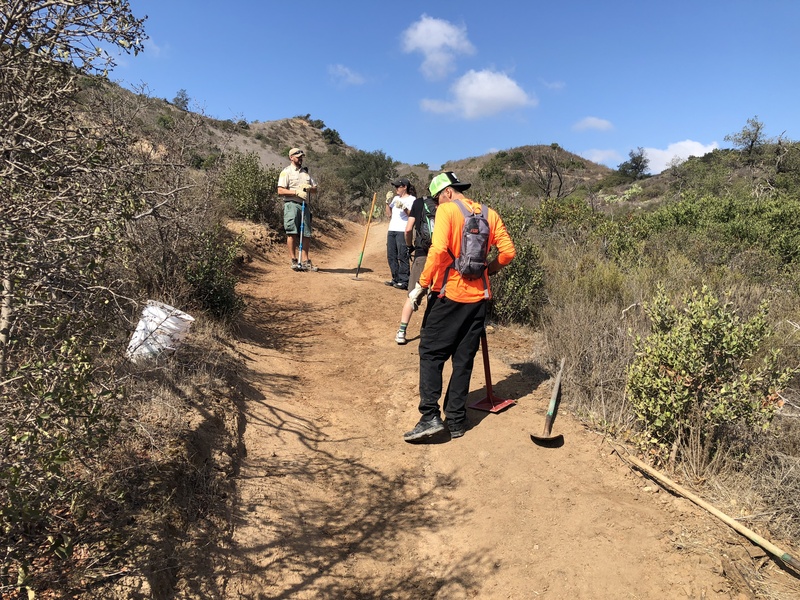 Thank you to the OC Parks staff and all of the volunteers who came out to help work on the trails!